So, finally both Samsung Galaxy Note 7 and Apple iPhone 7 smartphone are launched and going to be available soon. Apple has released two models of iPhone 7, one with 4.7 inch and another one with 5.5 inch large display. As per the Apple this one of the most advanced iPhone they have ever made while at the other hand Samsung is also making similar statement. So, here we are going to compare both these smartphone’s and surely at the end of this post you will have clear idea which one to choose. Samsung has skipped their Note 6 flagship to solve naming doubts. Meanwhile we are also getting rumours about next iPhone. Apple has already has launched a mini version earlier this year (iPhone SE) and now its turn for iPhone 7. Here we are going to compare both these high end smartphone’s. Note 7 is now available worldwide and its really a costly device and comes at price of approx. $870 USD. while Apple has just announced their iPhone on September 7, the base price for 32GB variant is $649 and pre-orders will start from September 9. Samsung Galaxy Note 7 vs. iPhone 7 comparison is going to really tough as both phones are assumed to have much better specs and features. This year Apple has launched its first voLTE smartphone with iPhone SE which is also world’s fastest 4-inch mobile device. Now we are expecting something extraordinary from Apple. We are looking for a better and bigger display, powerful processor, healthy camera and longer battery life from 2016 edition of iPhone. At the hand Samsung is playing their cards really smart, company has already launch Note 7 on August 2. Samsung’s Fans are also very excited to see next level of Galaxy Note flagship specially after seeing Galaxy S7 Edge like powerful device their expectations are on peak. 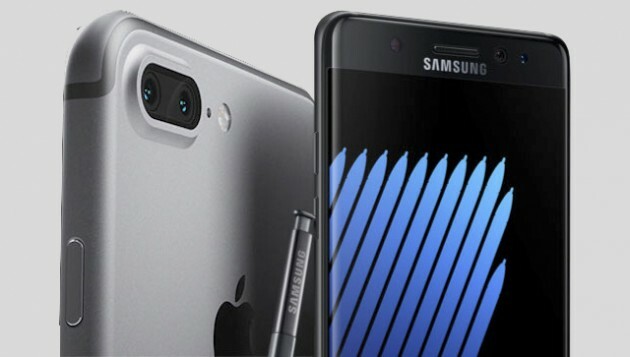 Samsung will power its Note 7 flagship with Snapdragon 820 SoC / Exynos 8890, 4GB RAM and Adreno 530 graphics where at the other hand iPhone 7 is rumoured to have 2GB RAM and run on Apple A10 fusion processor. Samsung will have 5.7 inch Super AMOLED display while Apple to boast a 4.7 inch IPS LCD display having 3D touch. Apple iPhone 7 will get Ion-strengthened glass with oleophobic coating however at the other hand you will get Corning Gorilla glass 4 with IP68 standard scratch and water resistance. So, looking at the major specs we can say Samsung Note 7 may have better performance as it will have 4GB RAM and powerful 64bit Exynos 8890 chipset which is one of the fastest processor till now. 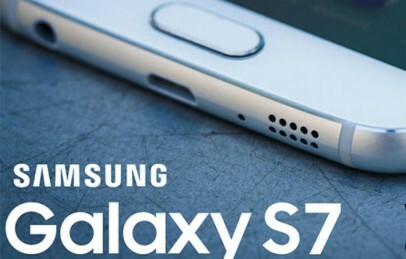 As per the rumours Samsung will bring same camera lenses that we have seen with Galaxy S7 and S7 Edge. The Note 7 will have f/1.7 aperture 12 MP camera at back and 5MP at front. However for iPhone, GSMarena has predicted that it will have 12 MP f/2.2 aperture camera and 5MP front camera. The upcoming iPhone will not have 3.5 mm jack that we are very used to use in everyday life and will have only one USB Type C port, you have to use any wireless headphones (via Bluetooth) for listening songs. So, here as well samsung seems to be winning the contest. Samsung has released Galaxy Note 7 that comes at price of around $850 bucks but its this device worth it, considering its outstanding features. However at the other hand Apple iPhone 7 and iPhone 7 Plus are still to come. We are going to update you with an accurate price after the IFA 2016 as the phone is going to announced there. Talking more on price of iPhone 7, we all know Apple is well known for launching iPhone’s with high price tag. As we all known iPhone 7 comes in 32GB, 128GB and 256Gb Storage, price for base variant will start from $649 USD and can go high as $900+ USD for 256 GB variant. So, finally you can decide here which one is best. Both device features powerful specifications and awesome design that you will love to use. But we think Galaxy Note 7 has an upper edge over iPhone 7, not because it has better processor but 4GB RAM and larger battery life also availability of 3.5mm jack that we all love to use in our daily life. Note 7 also adds up the functionality of S-Pen. Still if you are apple fan, you can go with it. For more updates and leaks of Note 7 and iPhone 7 keep join our facebook page and Google+ page. You can share your thoughts by commenting below and before leaving make sure to like and share us on social media from below buttons. Is the Note 7 waterproof? I saw a mention about the glass being water resistant, but no specific mention of the waterproofness. Thanks. Yes Note 7 is fully resistant with IP68 Standards. No, August 2nd is announcement only. Pre-order on the 3rd. Not sure on shipping date yet. When u say note release is Aug 2nd does that mean the cell carriers will hv them in store on the 2nd of Aug? Good question? I was wondering the same thing. No, this is more of an official announcement. carriers will have them a week after most likely.